What is Weatherboard or Weatherboarding? Weatherboarding is a type of external cladding, which was traditionally made from timber. Nowadays UPVC and fibre cement are also popular options for external cladding or weatherboarding on properties. UPVC weatherboarding comes in a variety of profiles and attractive finishes to suit different design and aesthetic requirements. It is different to cladding in that it’s laid with an overlap, whereas with flush external cladding, the boards are fitted together without an overlap. Weatherboarding is great in damp climates like the UK or where properties are close to the sea and therefore at risk from high salt content spray, as it offers protection from the elements and is both durable and low maintenance. Fibre Cement weatherboard is generally square edged and has a surface finish that resembles timber, so that it can be used as a substitute for timber where necessary. It is also possible to use and fix Cedral’s fibre cement weatherboarding like timber, but it has a few more advantages and benefits than timber weatherboarding. We also supply Hardieplank external cladding or weatherboarding. 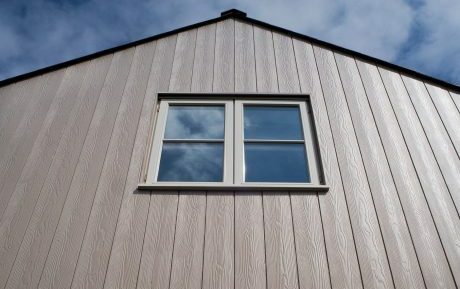 HardiePlank external weatherboard cladding is made from an advanced fibre cement, which is a composite of cellulose-fibre and cement composite. Aside from Cedral and HardiePlank Weatherboarding and external cladding, we also supply and fit UPVC windows, doors, conservatories, guttering, soffits and fascia boards in a variety of designs and colours. 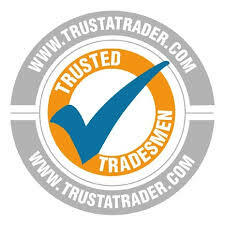 For further information on our weatherboarding and cladding choices and installation or for weatherboarding prices, please call 0800 063 0183 or contact us.